“Without education there is no possible revolution”, Fidel. I must acknowledge that before arriving in Cuba, I was a guy who ignored tons about this country. Influenced by tourists’ comments and the press, almost always sensationalist, I thought that I would find an extremely poor country; indeed, barren. I think that this is the first impression of the tourist who lands in Habana and, after a city tour of the old part of the city, takes refuge in some of the all-inclusive hotels the country offers. Luckily, this was not my case. Still traveling with my friend Fernando, we arrived in Santiago de Cuba from Dominican Republic, meaning to pedal all through the almost 900 km that exist from the revolutionary city to Habana. For a month, the trip was more intense than we figured it would be, as we toured over 1,700 km through 14 of the 15 provinces in the country. Many times we faced torrential rain or scorching temperatures that reached 37 or 38 degrees. And so we would often stop in the majority of the towns and cities that we crossed; either a couple of hours for shelter, or to sleep a night or ask for a plate of food. Obviously, if I compare Cuba to Europe or North America, I could think that this is a Third World country in many ways, even though education and health issues Cuba is one of the most advanced countries in the world. But, compared to twenty other countries in the region: I think that Cuba comes out on top of the majority of the Caribbean and Central American countries that I have visited. Other than the aforementioned, there is no extreme poverty here, nor drugs, nor violence, nor malnourishment, nor an abysmal gap between social classes, nor many other things that I shall tell you about in this narration. 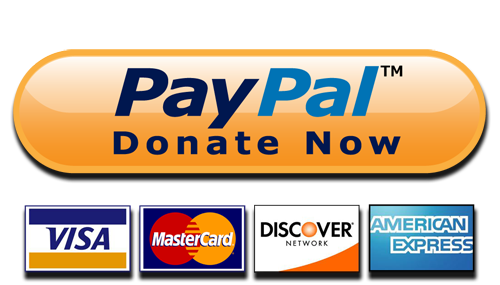 When I arrived in Cuba, I had the preconception that I would repeatedly face people that would ask me for money, clothes or anything material. That, due to necessity, people harass you over and over until they get something. I thought that Cubans were greedy and it wouldn’t be easy to socialize with them. It is true that in Habana and other touristic cities there are a lot of people on the hunt for tourists, because obviously, it is their livelihood. Their job can be to get a room in a family’s house for someone and make a commission, or simply take on the role of a tour guide and narrate the history of the city. Facing a malicious look, that Cuban could be labeled as unscrupulous and self-seeking, but that would be unfair. In reality, the majority of Cubans is foreign to tourism, is not hunting for tourists and, when they give, they expect nothing in return. 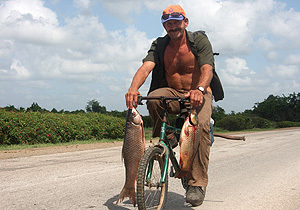 One day, pedaling to Cienfuegos, Fernando was left stranded after a screw that holds his luggage rack broke. He stayed to wait for help, as I kept on going. There were 50 km to our destination, it was Sunday, and there was very little traffic. In a matter of minutes, I was passed by a truck with Nando on board, making gestures to me. 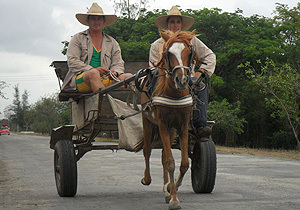 That morning, my friend required three means of transportation to arrive in Cienfuegos, and no one ever asked him for money. After hearing about the bike problem, the driver of the last ride grabbed pliers and a knife, and started kitting the screw until it showed, so that it could be removed. It was a meticulous, impossible task, but with some will and patience, a Cuban solved this in exchange for nothing. I had also heard that in Cuba most women are prostitutes and the country is nothing other than a huge brothel. It is true that in Habana and other touristic cities I have seen foreigners holding hands with girls that could be their daughters, but that is not the impression I take away from Cuba. In most of the cities that I’ve crossed, I have witnessed all kinds of celebrations, traditional parties, live entertainment or sporting events; the common denominator is that grandparents, parents, youth and children were having fun together. In this country, it doesn’t matter if gear is of a certain brand; there is no publicity here. For many of them, joy come from dancing, or perhaps drinking a can of beer, or share a 1.5 bottle of soda among the family members. The Cuban people are healthy; there are no drunks nor people getting high, nor messing with each other. “The brothel reputation that Cuba has, it earned during Batista’s time”, an elderly was telling me, “just as Thailand shares such a reputation from the Vietnam war time. What lingers today in that regard, I don’t think is would be for different impulses from what prostitutes live through in other countries of the world”. Lastly, I assumed that in Cuba I would find people mostly against their government, but that was not the case. Most of the people that we stopped to chat with about this topic, highlighted the wise decisions of the government for people’s needs; from a peasant that landscapes roads using a machete, to engineers, professors or teachers that hosted us at home or people who crossed our way. “Each Cuban family gets a subsidized basket with basic supplies monthly: rice, beans, oil, salt, sugar, eggs, and some meat, except for beef, that is saved only for kids up to 13 years old, elderlies and sick people”, Carlos was telling us. He is a mechanical engineer that hosted us in las Tunas city. “Children also get a liter of milk every day until they turn 7, which is then substituted for a liter of yoghurt daily until they turn 13. The value of this basket is around 60 Cuban pesos, or CUP (1 Euro is 27 CUP) and is good for about 10 to 12 days. This is why Cubans go to work. Without subsidized food, the domestic economy in Cuba would fall apart. The average salary is two minimum wages: 500 CUP, although many people only make one salary. Cubans have to manage somehow to make ends meet until the end of the month, but at least there is no one famished here, nor is there malnutrition”. “When one compares Cuba, one tends to forget that it is a small, poor country, subjected to the longest commercial, economic and financial blockage in history. One compares Cuba to developed countries, and not with countries in similar conditions. Converting Cubans’ salaries to dollars, one is not considering their purchasing power nor the services that every Cuban is entitled to. Education in Cuba is universal and free at all levels of teaching. So is healthcare. Cuba is the country with the highest doctor rate per capita in the world. Pathologies like children’s rickets and malnourishment are non-existent and a Cuban doctor will only see these when he travels abroad to work. The children’s death rate is one of the lowest ones in the world, and life expectancy is one of the highest. In Cuba, 90% of people own their dwellings”. Conversations with people like Carlos made me realize how silly I was to judge a place that I had never visited. After a month trip, I didn’t think the same way. I was surprised; this is not the Cuba that I was told. Cubans didn’t seem poor peasants, but educated people, with knowledge in different subjects and matters, and more updated in worldwide current events than most citizens in countries I have visited. I wonder how far Cuba could have gone without the constant harassment and the embargo of the United States. Thanks to Cubana airlines for the free baggage and bicycle transport.